What are you praying for? Let us pray with you. Will you join us in praying for our community? 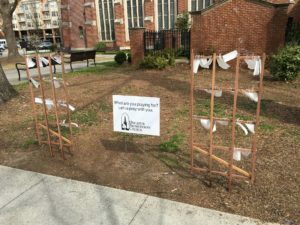 These are the prayers collected from our community prayer stations which can be found at the corner of Sycamore St. and Church St. and along the sidewalk on Church St.
We have been overwhelmed by the response to our community prayer stations. 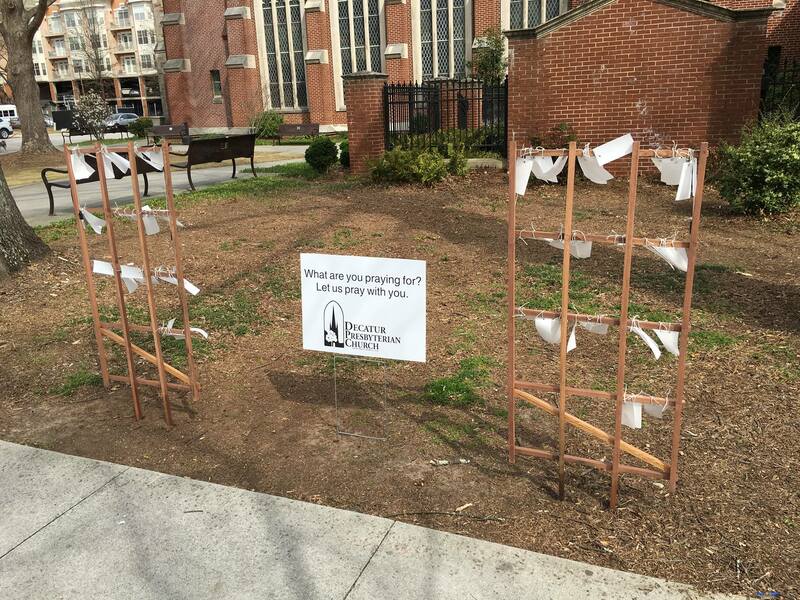 In a month we have collected close to 600 prayers from our neighbors, the people who walk by our campus. If you would like to take some of these prayers home with you so that you can be in prayer for our neighbors, please pick up prayer tags at the reception desk during the week or on Sunday morning. Prayers are published 15 at a time daily on our Facebook page and listed below. If you would like to help collect and replace tags on Mondays, please contact Rev. Alex Rodgers arodgers@dpchurch.org. Please pray for me on my first date. It’s been a long time. Self-love. I am good enough. Forgiveness. Good health for family & friends. Internal healing for everyone. Praise God! Give him the glory! The families in New Zealand who lost loved ones. For expression of more love in the world. I am praying for everyone to respect each other. For my quick & easy transfer to college in Florida for next semester! Please God! I pray for change soon. I am praying for the universal Body of Christ to be built. And for Christ to have his bride. Pray that I don’t lose my house. Continued health & happiness. The courage to do something new & different. The health, wealth, & happiness for myself, family, & friends! A friend with pancreatic cancer. A good man. For good health. Prosperity. And my niece and nephew. May they be safe, happy, and loved. For my son to prevail in his classes and receive his BA in sociology! To be successful in the dreams I imagine! Heavenly Father, please heal my mind, body, and heart. Everyone. May God bring everyone love/comfort. Stephen to get closer to Jesus & show it. Pray for my family to reunite in love and peace. That all who mean ill will be separated from my family.